Who wants to admit they have bug or rodent problems? No one. Doesn't matter how clean or diligent you are - sometimes it's out of your control. 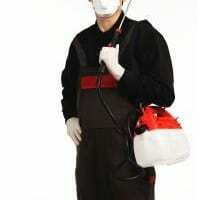 From the very first call I made to 24/7 Pest Control I was impressed. The pest control technician took the time to explain the process, what to expect and what we could do to keep the bugs away. I hope to never have to deal with the bugs again but if I do, I know who I'll be calling! Their prices were more than fair and they really know what they're doing. Thank you! Their technician was great yesterday. He was a bit late but he apologised when arrived. His attitude was very nice and he pointed out exactly what he was going to do while he was here. He came in and efficiently took care of all the work that was necessary. He answered all of my questions and took care of the service very professional. 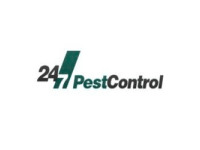 Would use 24/7 Pest Control again! I am so grateful. The technicians did an outstanding job. I had this wasp nest in my garden for few months. Called 2 pest control companies but they couldn’t really solve my problem. Anyway, your experts are second to none!! They are so positive and communicative. They got rid of the nest with no efforts and in professional manners. The customer support staff is excellent and the price fits my budget. Thanks! Qualified and kind pest exterminators. They dealt with the rat infestation thoroughly, came on time and were able to answer all my questions. No complaints. Hugely recommend them. Absolutely a first-rate service. Very punctual and helpful exterminators. They did everything thoroughly and rapidly. Certainly recommend them if anyone needs a pest control in London. Dear Rafael, thank you for sharing your experience with us! We appreciate the feedback and we're glad to hear you are pleased with our services. Thank you for being our client. Kind regards, 24/7 Pest Control.